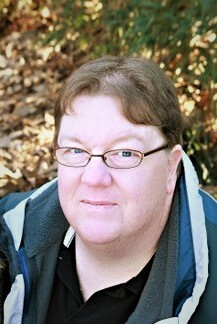 Joe A. Coombs III (Trip), age 45, of Dallas, GA, passed away on March 22, 2019. He was born on March 29, 1973, in Decatur, GA. He was a member of Dallas First Baptist Church and was employed by J5 Create Electronics. Survivors include his wife of nineteen years, Tracy Myers Coombs of Dallas, GA; parents, Joe & Gayle Coombs; and brother, Troy Jeremy Coombs of Dallas, GA; mother-in-law, Ms. Carolyn Myers; brother-in-laws, Scott Myers of Lawrenceville, GA, and Marshal & Melanie Myers of Lilburn, GA; sister-in-law, Becky & Frank Kremer of Scotland. Memorial services will be held on Friday, March 29, 2019, at 12:30 PM, from Dallas First Baptist Church, with Dr. Todd Gaddis officiating. The family will receive friends at Dallas First Baptist Church from 11 AM until the time of service. Interment will be held at Willow Springs Baptist Church Cemetery after the service.